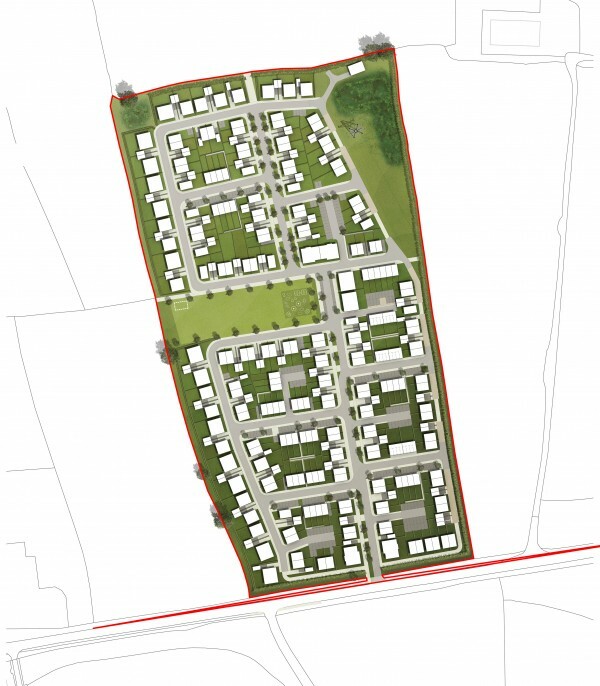 LHC were commissioned to develop a masterplan and landscape strategy for a mixed-use scheme of up to 250 new homes, plus potential commercial/retail space within a local centre, on land to the east of Cranbrook as part of the extension to the wider Cranbrook development area. 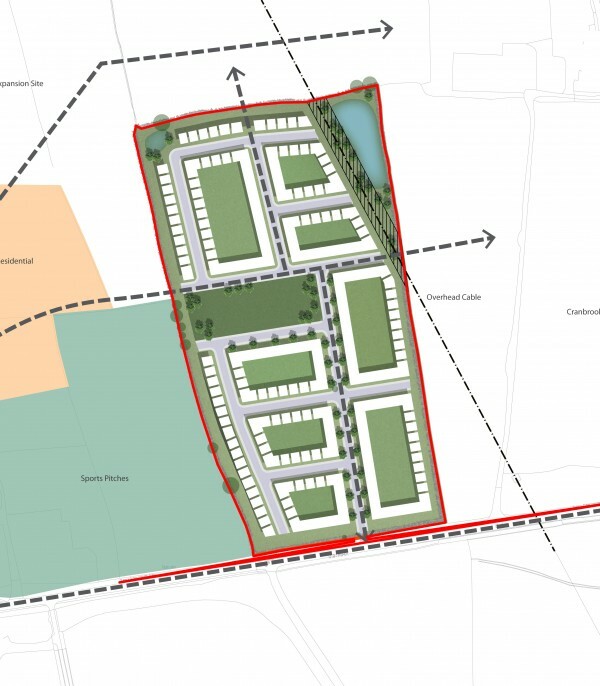 Undertaken for Land Value Alliances, the development will deliver much needed open market and affordable housing for the area. 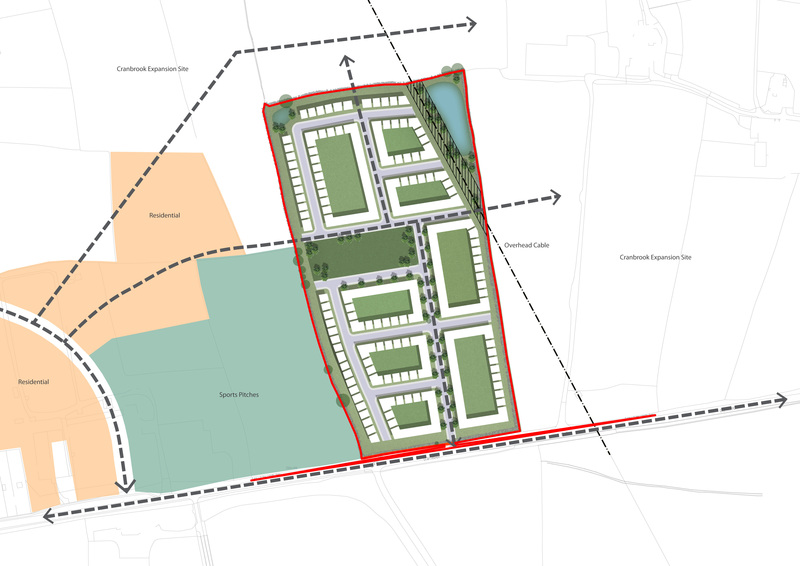 The proposed scheme creates a balance of urban form and landscape that maximises the site’s assets and creates an efficient, high quality development. 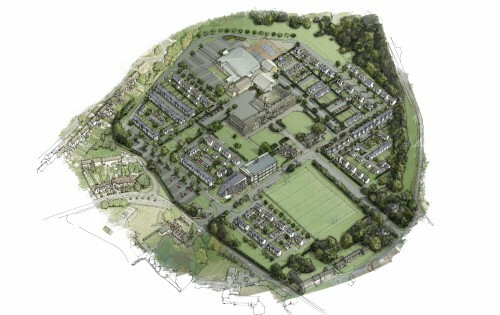 The illustrative masterplan demonstrates a strong green infrastructure network that retains existing site boundary trees, hedges and features and integrates them into a site-wide landscape design. 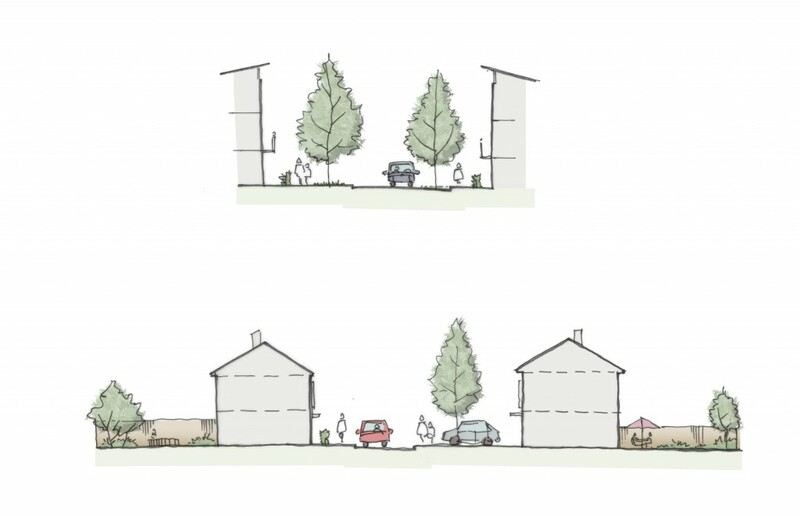 The built form comprises a mix of 3 storey flats and townhouses providing a strong frontage to the proposed central space and main green infrastructure corridor along the eastern edge of the site. The remainder of the site will be 2 storey with a mix of terraced, semi-detached and detached houses to provide the proposed mix of houses. 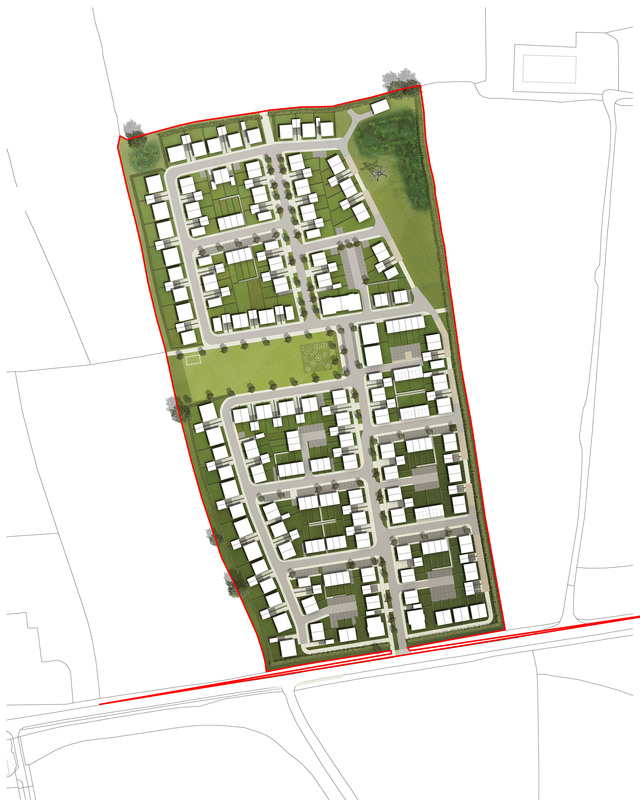 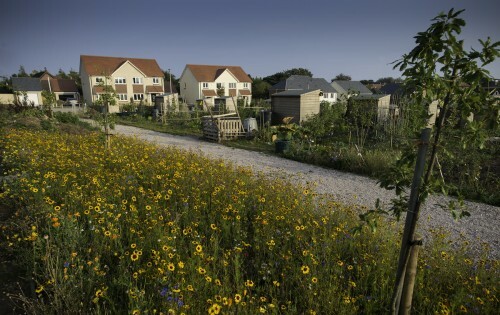 The primary access route runs south – north with access roads running east – west, providing opportunities for southerly aspects for the majority of dwellings and supporting the use of photovoltaics/solar thermal panels, and high quality private gardens.